CANNES "CAFE" WITH SILVER TACKS AND DARK WALNUT LEGS. Not every purchase should require hours of deliberation. Sometimes you see something you like and you need to have it right there, right then. 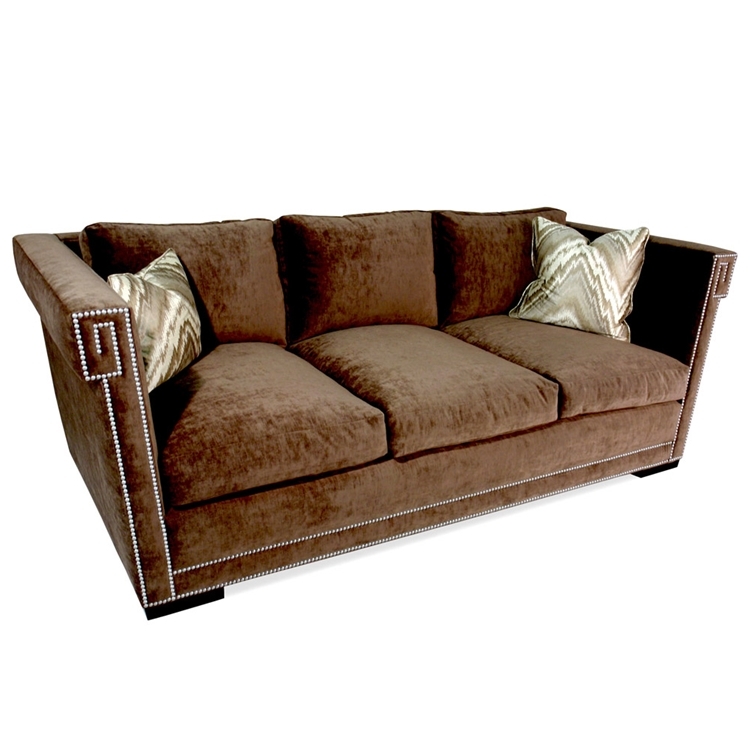 The Candice Sofa is a brief moment of clarity in an otherwise uncertain existence. Item sold as shown online. Sofa comes with foam filled seat cushions, back cushions, and (2) self accent pillows. Email info@hautehousehome.com or call 323.256.2800 for custom options.